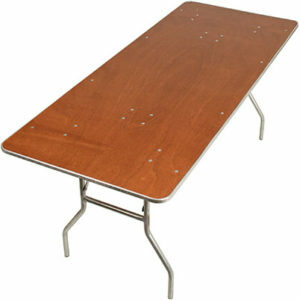 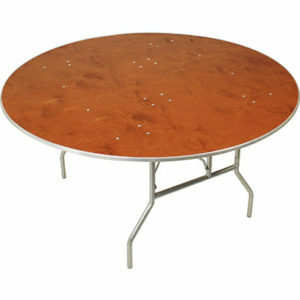 PS Furniture’s 200 Series solid plywood banquet tables are built to endure years of demanding use, moving and storage. 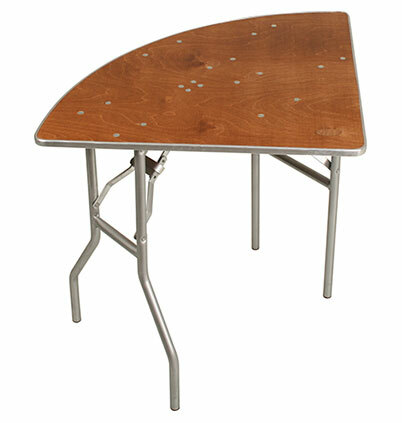 Our proprietary C-Channel aluminum edge means extra protection for your table edges and 100% bolt fastening means extraordinary durability. To virtually eliminate maintenance, we finish the 200 Series surface with state-of-the-art, UV cured varnish that is ultra-hard. 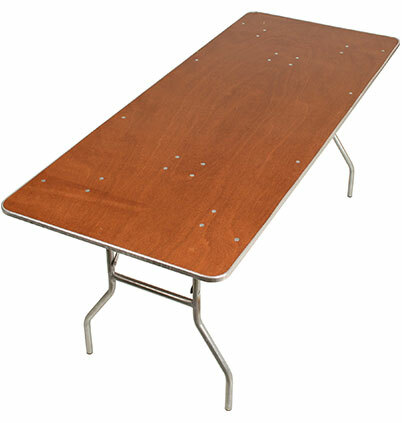 Incredibly secure & low maintenance thru-bolted runners and legs. 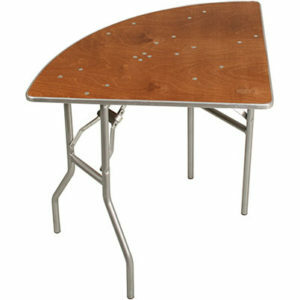 “C-channel” aluminum edge – extra protection for edges! 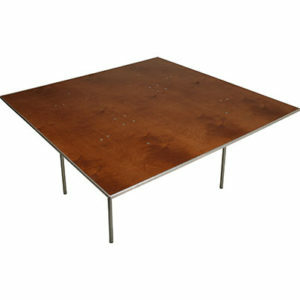 FREE polyurethane coating! 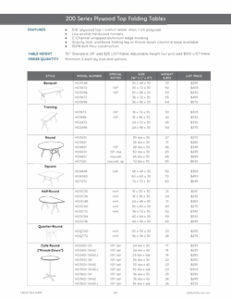 Gravity-lock folding legs are strong, safe and built to last. Narrow Profile – Round tables are only 2.5” thick (folded) when ordered with Space-Saver folding legs for incredibly compact storage! 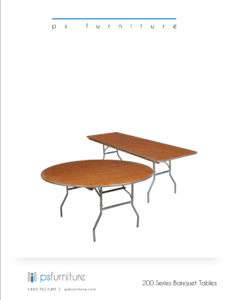 Available Reception Table PackageStorage, transport and set-up all in one all-inclusive system with dual table height options included (30” & 42) along with knock-down design that speeds set-up and teardown time.